Renault Group Ireland enjoyed a promising start to 2018, taking fourth place in the combined new car and van market with a 10.1% share and almost 4,500 units sold in January. The Group finished the month as the bestseller in Carlow, Louth, Waterford, Westmeath and Wexford. Renault Group Ireland enjoyed its most successful year so far in 2017, achieving 3rd position in the combined new car and van market with a combined market share of 9.8% and 15,226 vehicles sold. In January, Renault achieved a 6.2% share of the car market, while shockingly affordable Dacia took 2.6%. 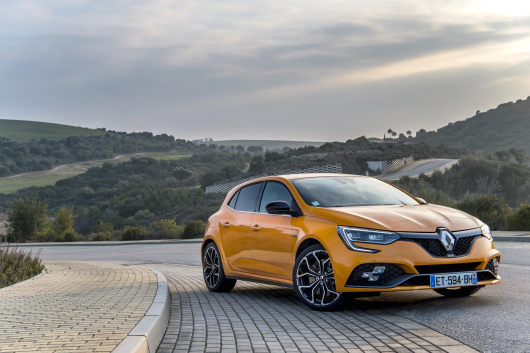 New Captur crossover dominated the B-SUV Segment, retaining its number one position, and the ever-popular Renault Clio and Dacia Sandero ensured the Group remained at number three in the competitive B segment. The striking Scénic range finished January with a 28.1% share in its segment, taking the number one spot on the podium. All-New Renault Koleos, launched late last year, took an impressive 6.3% of the D-SUV segment share and is the number three ranked five-seater. In the electric vehicle segment, All-New ZOE Z.E. 40 finished on the podium in second position with 14.4% share. New ZOE is fitted with a battery that provides exceptional range of 400km NEDC – 300km in summer and 200km in cold winter. Renault Group achieved a share of 16.5% in the competitive LCV market, finishing firmly on the podium in third position for January. Master and Trafic finished in second place in the respective large and medium van segments, while Kangoo was the number three small van. The Group’s network of 28 dealerships around the country has unmissable offers on models registered by 31st March 2018 across its Renault and Dacia PC and LCV ranges, designed to offer real value to customers and reduce the cost of ownership over three years. The Renault passenger car offer includes 3% APR, three years’ servicing and €1,000 cashback, while Renault is also offering 0% HP and three years’ servicing on the stylish Kadjar. With the recent Government Budget announcement on EVs and 0% Benefit-in-Kind (B.I.K. ), Renault is ‘matching the zeros’ on the zero emissions electric ZOE with a 0% HP offer. Dacia is offering 0% APR on Sandero Stepway Alternative 1.5 dCI diesel and 4.9% APR across the refreshed range (Duster, Sandero, Sandero Stepway, Stepway, Logan and Logan Stepway). On the award-winning LCV range, customers can avail of 3% APR HP over 60 months with a reduced deposit. These offers are available through Renault’s very own bank, Renault Bank, offering customers lower interest rates and further savings versus high street commercial banks. A Renault Bank branch is available in all 28 Renault dealerships, offering two-hour decision times and approval rates of 80%. January saw a good start to the year for Renault Bank with €25.5 million lent to new car customers. Lending to business customers purchasing vans increased by 34% versus January 2017, indicating that the low rate of 3% APR across the Renault range is attractive to LCV customers. PCP remains the most popular option for customers investing in a new car with almost 60% of Renault and Dacia customers favouring its flexibility and affordability over traditional hire purchase.